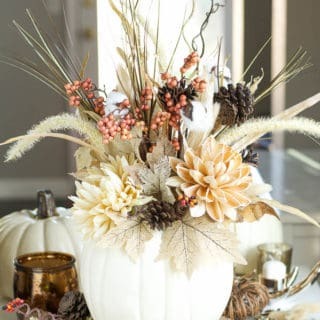 When it comes to the end of summer and beginning of fall, we always feel a sort of satisfied nostalgia. While it’s true that we’re always sad to see the warmth, sunshine, and colour or summer go, we’re never upset to have sweater weather, crunchy leaves, and beautiful fall colours roll around for another year. 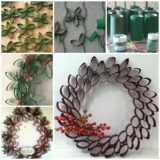 We do find, however, that a little bit of early fall crafting can definitely help us fend off the end-of-summer blues. 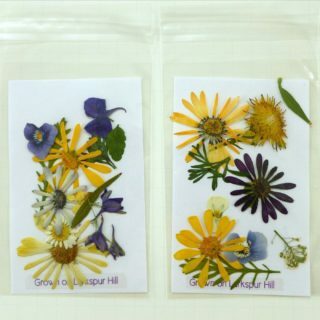 That’s how we developed a love for the art of making things using actual dried and pressed flowers and leaves that remind us of bright, warm summer days. 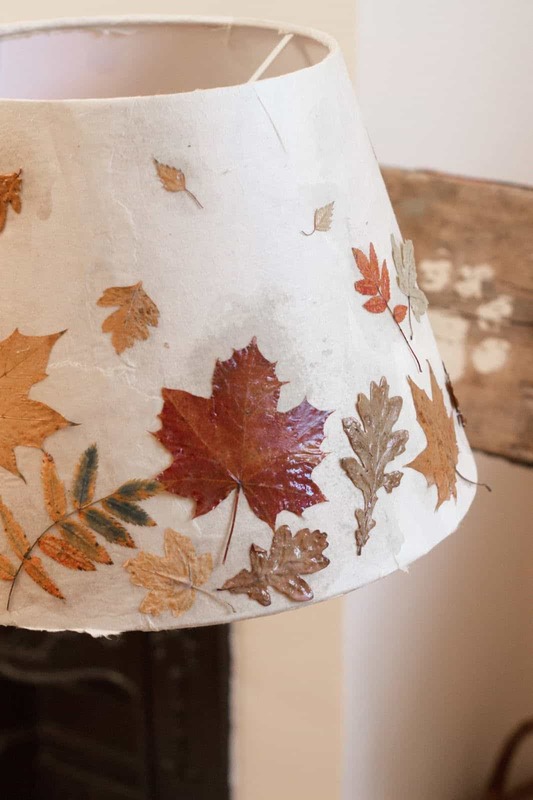 Just in case you love the idea of doing some early autumn flower and leaf decoupage just as much as we did, if not more, here are 15 of the very best ideas we’ve come across so far in our search to help get you feeling creative as the winds cool down around you. 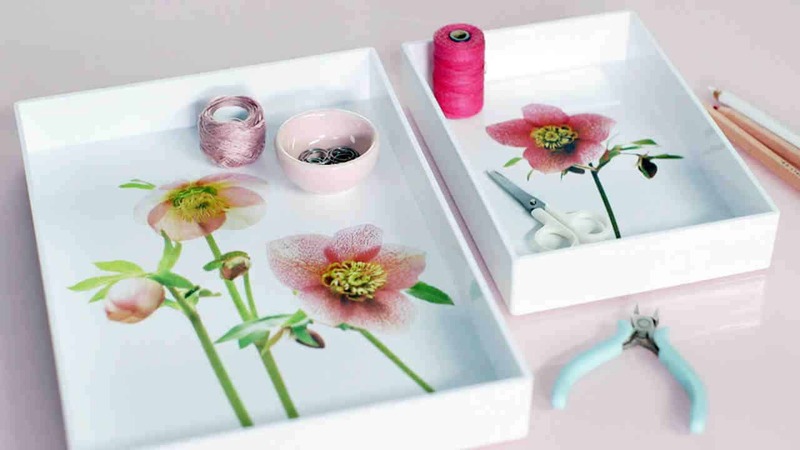 Whether you use them for organizing your vanity, keeping work papers straight on your desk in your home office, or actually serving tea and snacks in the afternoons, we think anyone with a penchant for decoupage crafts will get a kick out of these lovely floral decoupage trays! 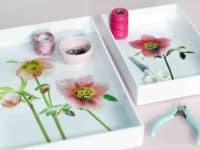 Martha Stewart guides you step by step through the process of pressing the flowers impossibly flat, laying them just right, and sealing them seamlessly so the things you place on the tray don’t wobble if you pick it up. 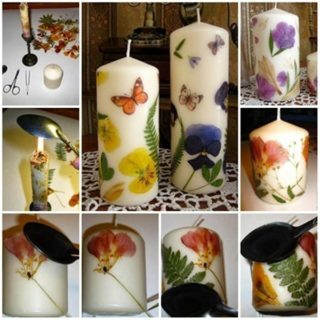 Flowers aren’t the only things you can use while you’re putting your decoupage skills to good use this fall! 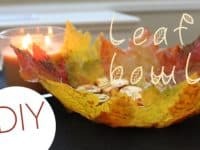 In fact, sometimes leaves actually make some of the prettiest projects we’ve ever seen, especially if you combine them with other things to make adorable little scenes. 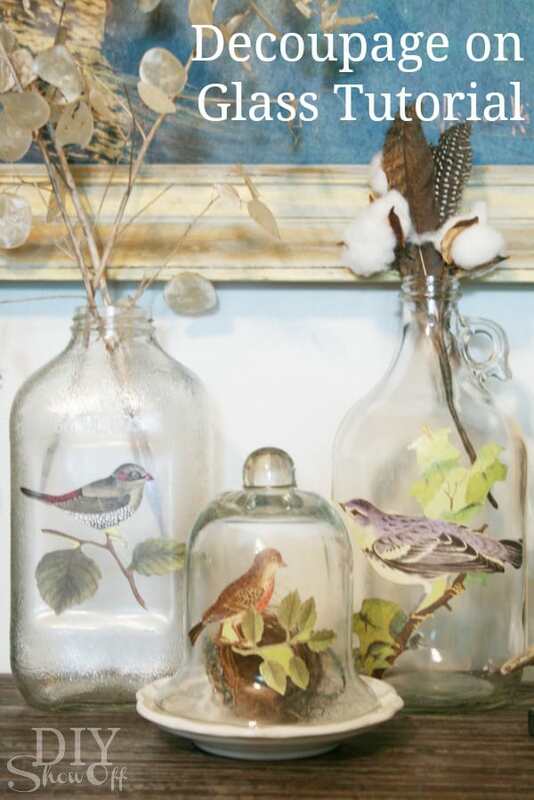 That’s exactly what DIY Show Off did here with their dried leaf and paper bird art on the surface of a glass display bell or mason jar turned vase. 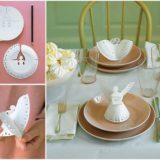 If you’re going to go to the trouble of making yourself something incredibly unique and lovely, would you rather make sure it’s something that is delicately decorative or will be extra impressive to any guests that might visit your home? 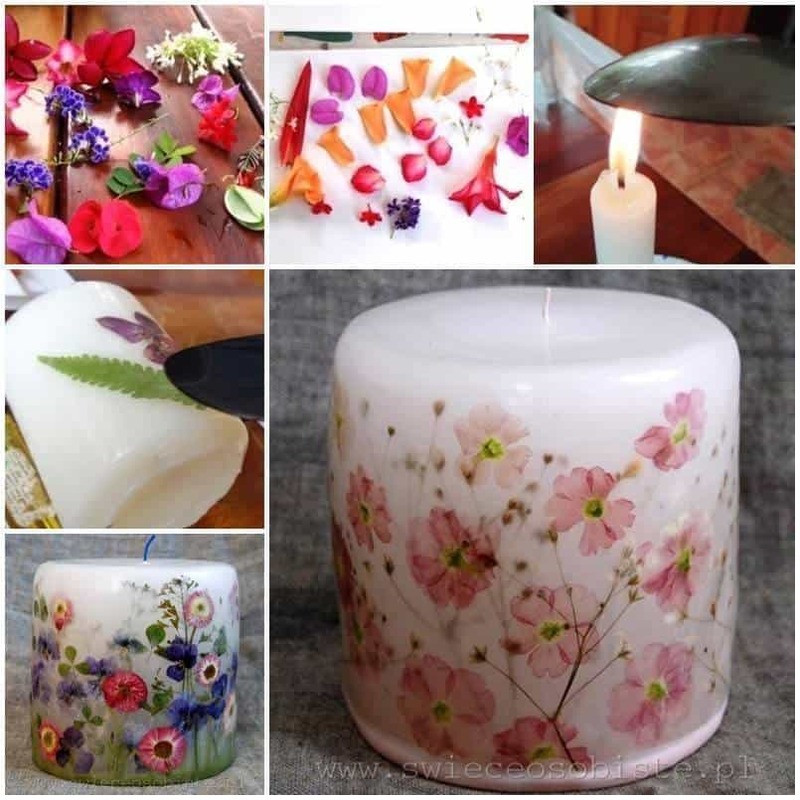 In that case, we’d definitely suggest taking a look at how DIY Cozy Home transformed the outer surfaces of some chunky, plain white candles in order to give them a breathtakingly pretty spring or summer appearance. 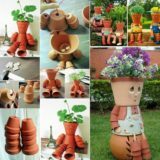 Visitors will be ecstatic to learn that the flowers are real! 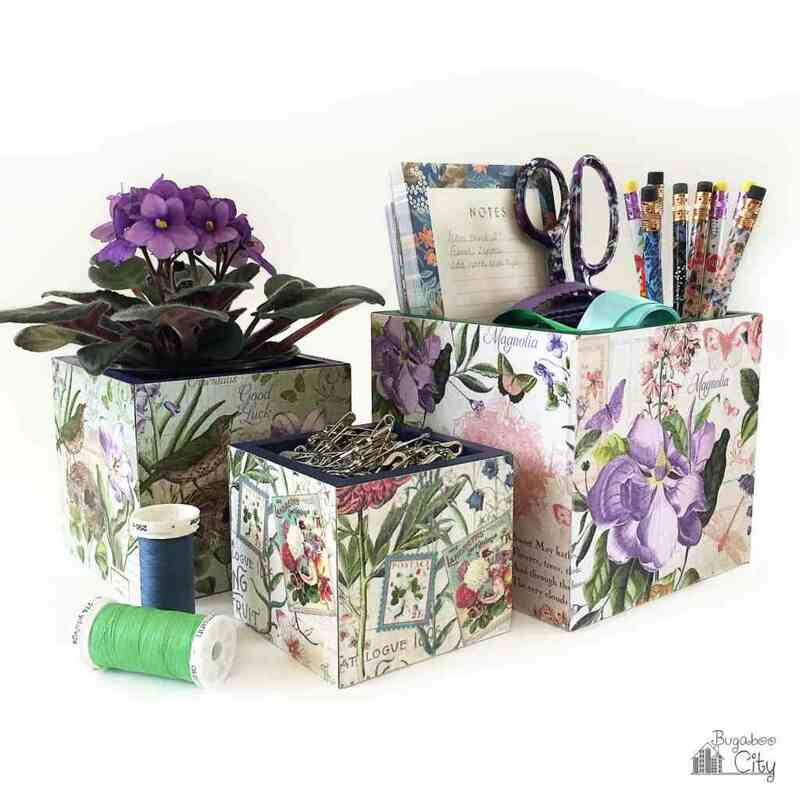 The flowers that you see in these photos from the tutorial featured on Bugaboo City might not actually be pressed and real, but the technique they outlined to make their paper flowers part of a lovely organizational box set are actually exactly the same as what you’d do if they were! 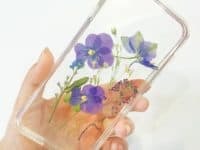 That’s why we’re including it on our list anyways; how stunning would a few trinket boxes look with some delicate dried flowers decoupaged to the sides, even if they’re already patterned as a background? 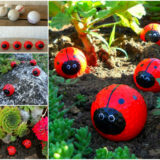 If you’re going to craft something natural, would you prefer to actually keep the whole concept quite natural all round? 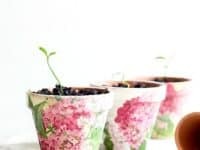 Then we have a feeling this awesome idea from Place of My Taste for using floral decoupage to decorate the simple little terra cotta pots you’ll plant your fall flowers in might be right up your alley! 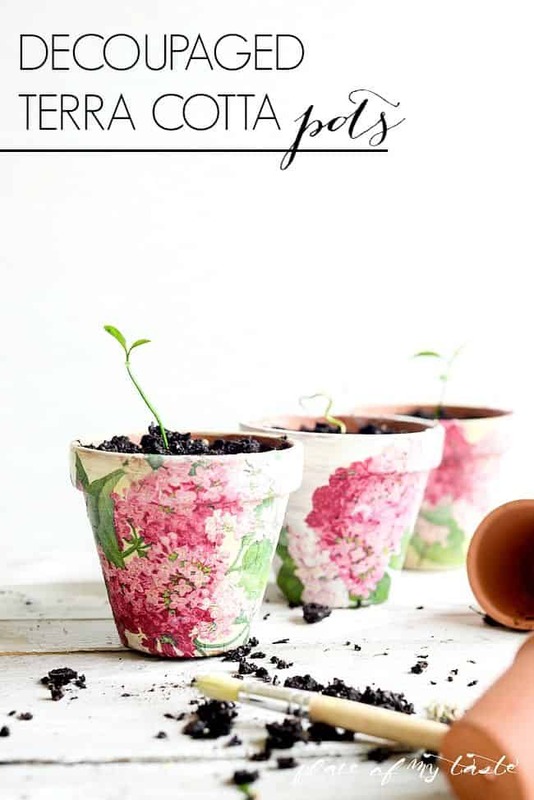 Whether you keep the pots’ natural colour or paint a light background first before you decoupage, your flowers will complement one another beautifully. 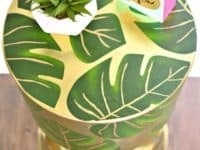 We’ve shown you quite a number of floral decoupage ideas thus far, but what if you were really hoping to make something more leaf based, preferably using bigger leaves because you adore the deep greens they come in? 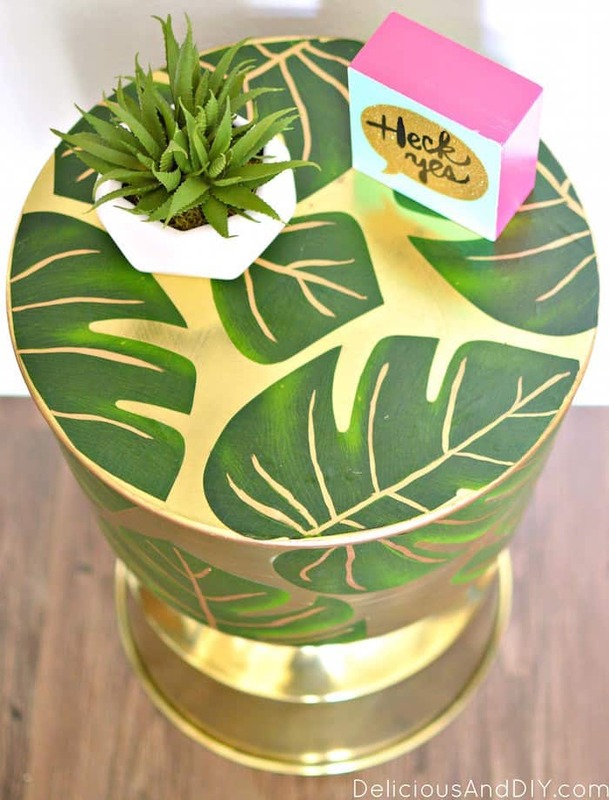 Then we have a feeling you’re about to feel rather enthusiastic indeed about this fantastic palm leaf table idea featured on Delicious and DIY! 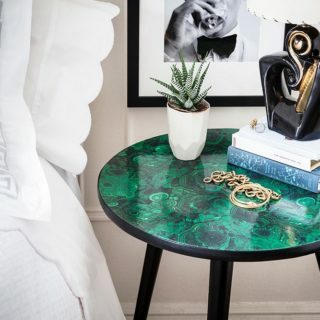 We personally love the way they painted their table a stunning metallic gold before placing their leaves down, but we could see all kinds of other colours looking equally stunning if you prefer. 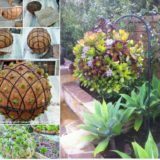 So far, we’ve shown you several ideas that use just flowers and several ideas that use just leaves, but what if you’re looking for a sort of rustic chic way of combining the two in one project in order to make some beautiful summer-to-fall decor? 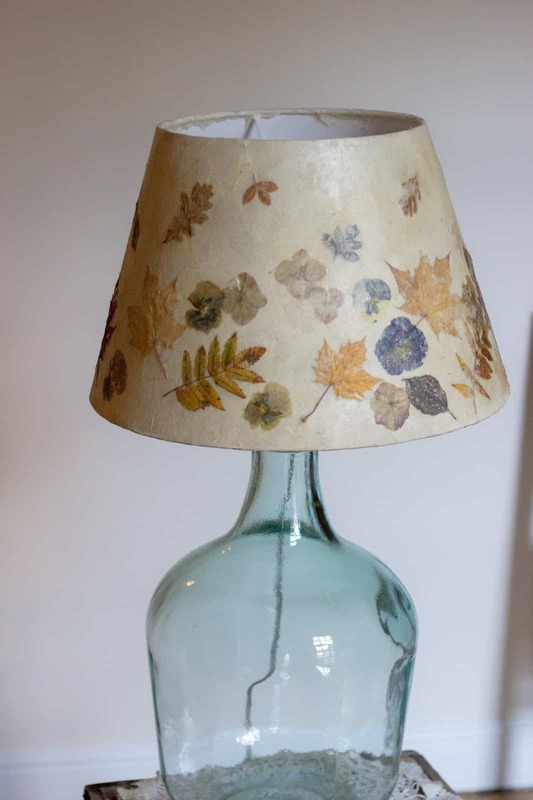 Then look no further, because we’d absolutely suggest taking a look at how A Handmade Cottage used both leaves and flowers to decorate the outside of an otherwise plan lampshade. 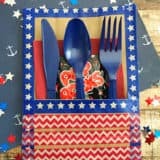 It’s amazing how many different pieces around your house decoupage can transform! 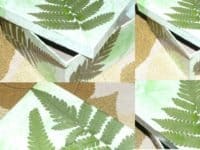 Have we really caught your attention talking about larger leaf projects that really let the leaves stand out, since it is fall that’s rolling in within the next couple weeks? 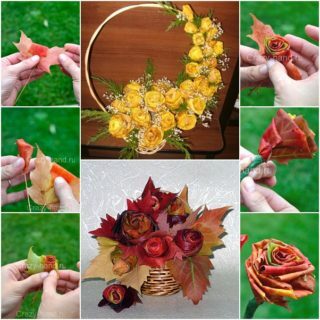 In that case, we can fully understand wanting to make something that gives leaves a little more of a centre stage position than flowers, considering you probably just made all kinds of floral things throughout the summer. 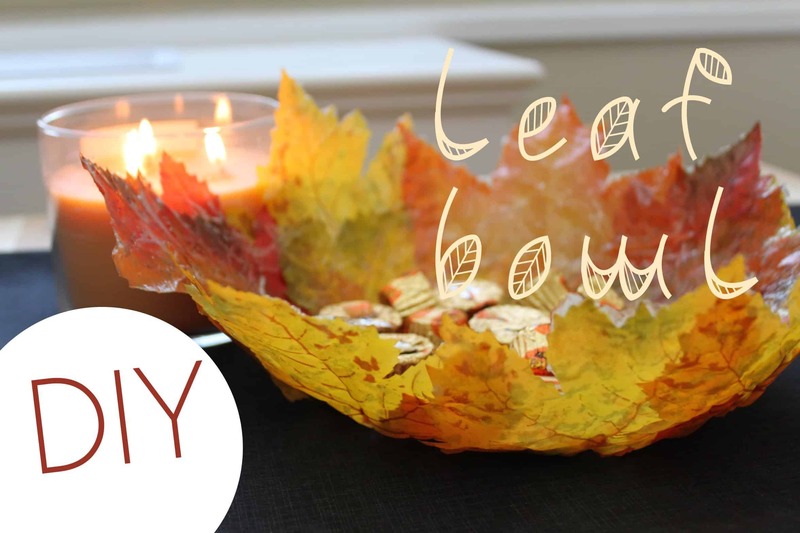 In that case, we’re pleased to direct your attention to the way DIY n’ Crafts Priscilla created a fantastic fall time trinket bowl made from leaves that have been moulded around the outside of a plastic bowl using techniques that are essentially the same as the decoupage you know and love. 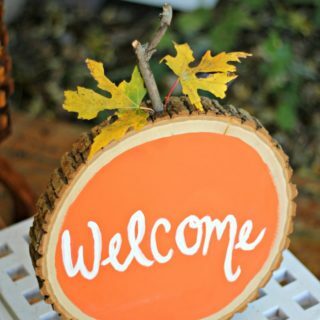 Okay, we know it’s a little bit early in the season to be decorating with pumpkins already but honestly, we love fall so darn much that we’ll take just about any chance we can to get adorable miniature pumpkins and gourds into our home as early as possible. 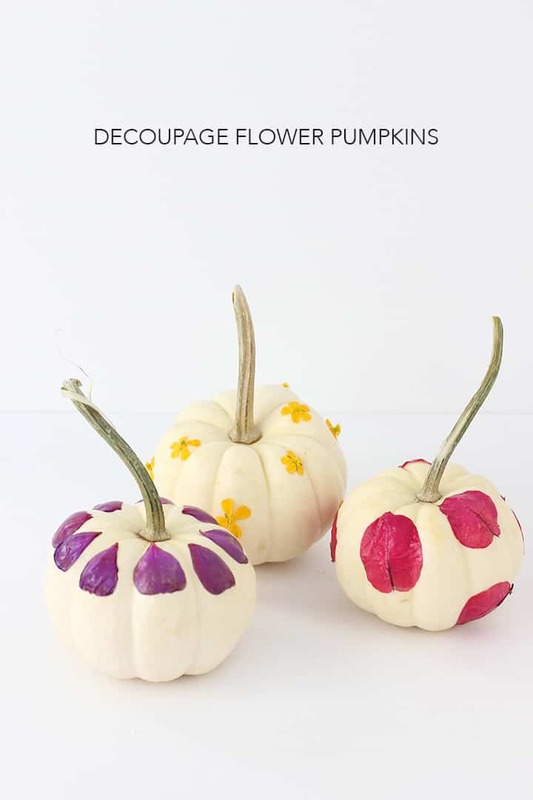 That’s why we thought this flower petal decoupaged pumpkin idea was such a cool one! 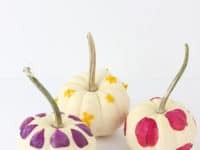 Alice and Lois shows you how they decorated the outside of their miniature pumpkins using strategically placed single petals for a finished product that really does look like a perfect blend between fall and winter in its aesthetic. 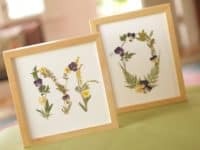 Have your favourite floral decoupage ideas so far definitely been the ones that let you combine flowers and wood, but you can’t help wondering whether there’s a design out there that will let you do so a little more explicitly? 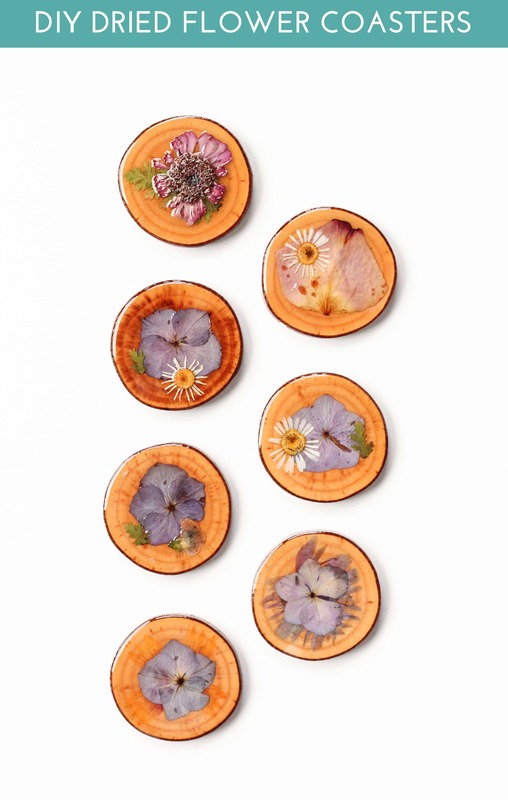 Perhaps you’d simply prefer to make something pretty using wood and floral decoupage that you can actually use. 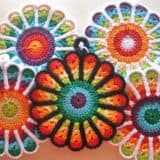 In either case, we’d definitely suggest taking a look at how The Crafted Life made these stunning drink coasters using their floral decoupage techniques, sealing the flowers well so the edges don’t lift and peel when you use them. 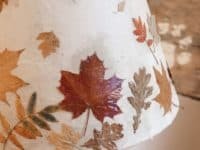 Did we perhaps really catch your attention when we started talking about the idea of making a flower and leaf covered lamp shade project like the one we outlined a little earlier on our list, but you’re still kind of feeling intent on the idea of making something much more leaf based in order to welcome fall into your home decor scheme a little more explicitly? 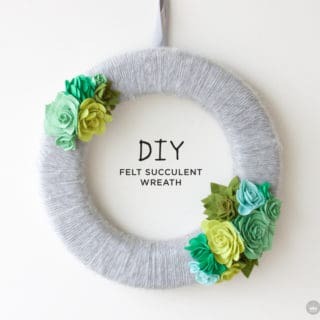 In that case, we’d absolutely suggest taking a look at the way A Handmade Cottage made the same thing but only using dried leaves fallen from the trees in their backyard. 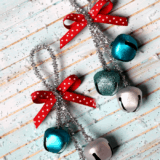 If you’re going to start getting an early jump on seasonal crafts and DIY projects quite a bit in advance, would you rather just start collecting any tutorial you like that fits the theme, since you can always bookmark it for later on in the year? 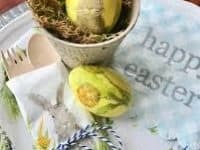 In that case, we think you’ll understand why we’ve already found ourselves a cute Easter idea that uses leaf and flower decoupage, even if you probably wouldn’t make it until the spring! 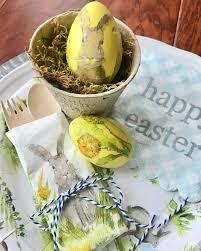 Get the full details for trying these beautiful natural decoupage Easter eggs on Cuter Tudor. Are you the kind of nature appreciator who would rather combine blossoms, leaves, petals, and stems all together in one place whenever you can, but you’re also not sure how you feel about these high gloss ideas that paste down the leaves and petals so intensely that they get a sort of shine to them, trapped entirely under the dried glue? 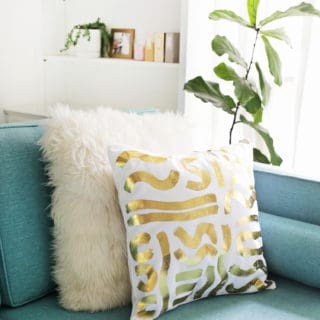 Then maybe you’d prefer to arrange some kind of art that can simply be framed instead! 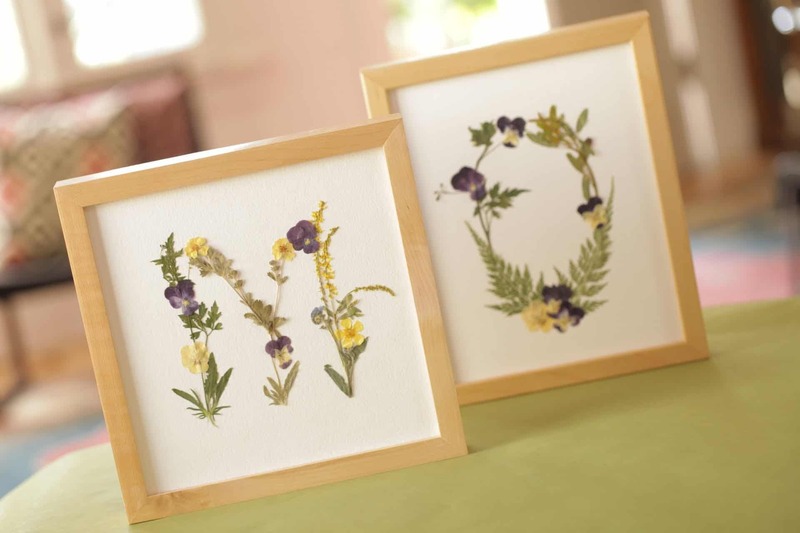 We love the way Kin created delicate looking little letters from small flowers and leaves to create their initials, sticking the plants down only lightly to make them stay put behind the glass before framing them like a monogram for your their side table. 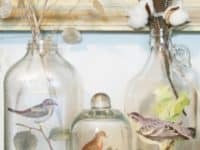 Are you actually perhaps so in love with the idea of creating lovely accessories and decor pieces using floral decoupage that you almost wish you could carry a little piece of it with you at all times, solely because you adore how it looks? 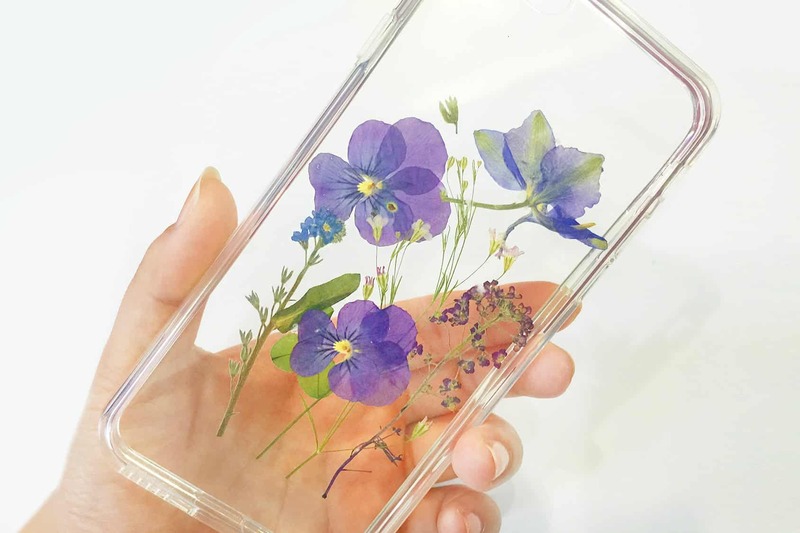 Well, we liked that idea a lot as well, so we’re sure you can guess how enthusiastic we felt when we came across this stunning pressed flower cell phone case idea featured on Eich Dubble! 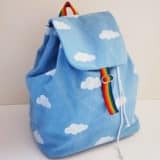 After all, we carry out cell phone on us every single day, so there’s certainly no harm in making it look as lovely as possible while we’re at it. 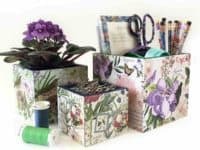 Did you actually quite enjoy the floral decoupage trinket and organizational boxed we showed you earlier on our list but you’re just not sure you’d prefer all that colour over the simple green you love so much where crafting with leaves is concerned? In that case, we’d definitely suggest taking a look at how Etc Craft Etc used big, interestingly textured fern leaves to to gussy up the surface of some decorative boxes in order to make some of the prettiest gift boxes we’ve ever seen!